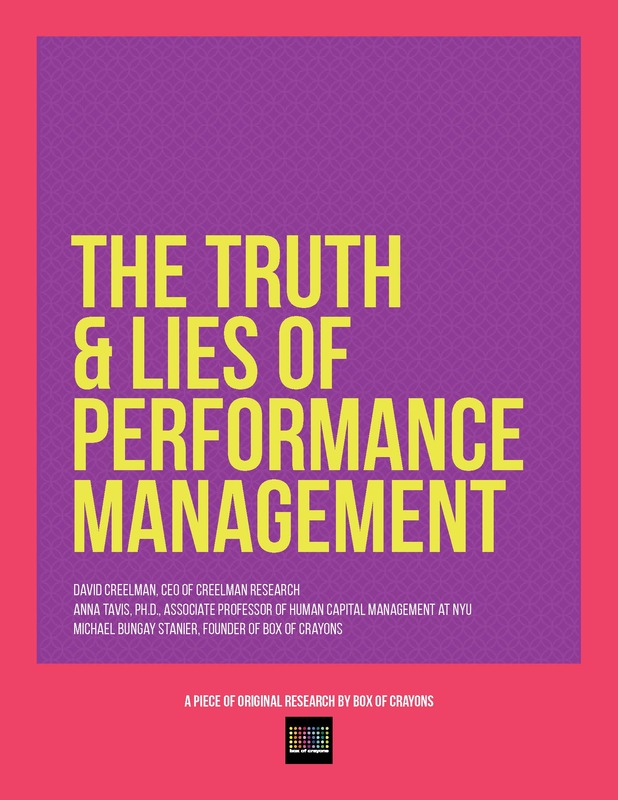 In a new piece of research, The Truth & Lies of Performance Management, Michael Bungay Stanier and his colleagues David Creelman and Anna Tavis surveyed senior executives across more than 120 organizations, asking them to share what they’re doing (and not doing) in their organizations. The research was supplemented with qualitative interviews, adding stories from the front line to the statistics. Among other findings, the research showed there is no “silver bullet” that will make performance appraisals easy, pleasant, and useful for everyone. However, performance can be improved by teaching managers how they can be more coach-like — and have everyday performance conversations — in a way that isn’t an added burden to them. 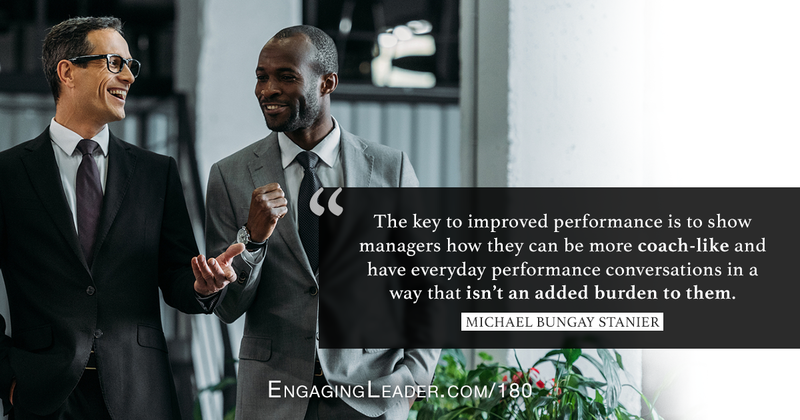 Michael Bungay Stanier has trained more than 10,000 busy managers from around the globe in practical, everyday coaching skills. He is the founder and senior partner of Box of Crayons, a company that helps organizations all over the world do less Good Work and more Great Work. Box of Crayons is best known for their coaching programs that help time-crunched managers coach in 10 minutes or less. Michael has written a number of books including The Coaching Habit and Do More Great Work.